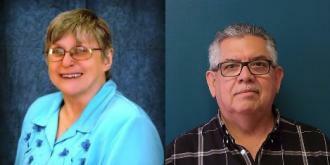 Congratulations are in order for three very special employees that recenlty earned the Certified Manager of Community Associations (CMCA®) designation by the Community Associastion Managers International Certification Board (CAMICB). Community Manager Brooke Gattis – Brooke has been a part of the C.I.A. Services team since 2015, when she came to us with a background in condominium management. She is currenlty a portfolio manager working out of our Humble office. Community Manager Catina Hunter – Catina is a portfolio manager out of our Southwest Houston office. She joined us in 2012 as an Administrative Assistant, quickly advancing to Assistant Manager of two master planned communities. She was promoted to Community Manager last year and dove right into earning industry designations. Maintenance Coordinator Daniel Harris – Daniel has been a Maintenance Coordinator since 2008 specializing in Houston area master planned communities. Daniel is the first Maintenance Coordinator with our company to obtain the CMCA. We are excited that Daniel has an expanded knowledge about the community manager’s role that he can apply to what he does every day. CAMICB administers the CMCA examination, a rigorous test that measures knowledge of best practices in the community management industry. The CMCA is accredited by the National Commission for Certifying Agencies (NCCA) and complies with the NCCAs stringent international standards for a professional certification program. CAMICB is an independent board that sets the standards for community association managers worldwide. It is the first and only organization created solely to certify community association managers and enhance the professional practice of community association management. We are proud to expand the list of CMCAs working diligently for our company and our clients! Congratulations! For more information, visit www.camicb.org. Our 9th Annual C.I.A. Services Hockey Night with the San Antonio Rampage is this month on Saturday, January 28th. Our community volunteers, families and friends will enjoy a fun evening watching our hometown San Antonio Rampage take on their division rival the Ontario Reign. The Reign, affiliate of the Los Angeles Kings, are sitting at the top of our division. Sadly, we are not. But it is a tightly packed field and the Rampage always play well in their own house. The AHL just announced the All-Star roster and we have two playing: goalie Spencer Martin who has kept us in so many games and forward AJ Greer who is our points leader and a joy to watch flying around the ice. Hockey Night is a great annual event but you may ask ... why hockey? Well hockey is fast, exciting, physical and not a sport most Texans have grown up with. It’s also something cool to do during our hot winter nights. But there is also a personal reason. Two of our company executives, Tina Jameson and Ralph Troiano, are intense hockey fans and players. Tina recently "retired" from league play but her biggest career highlight was as a defenseman representing the Rocky Mountain region in a national women’s tournament in Washington DC. There is a lot to that story but you’ll need to ask her. Ralph is still playing every week with the Kodiaks in an adult recreational league in San Antonio (that is the "we all have to go to work tomorrow so no checking" league). Tina and Ralph spent years playing with the Houston Penguinos, a co-ed adult travel team that got together for tournaments in the USA and Canada. The team wasn’t always competitive, especially when playing up north, but we always had fun. 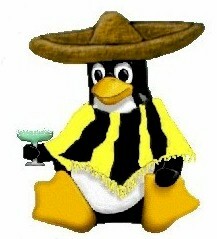 And we are always the best dressed team with our cool logo - a penquin wearing a serape, sombrero and holding a margarita. Click here to see a team photo from our 2005 tournament in Lake Tahoe. That was one of our best performaces where we faced off against a college team and won. Again, there is more to that story but you’ll need to ask. So the hockey passion has spread throughout our company and to our friends and family. We’ve even had a passionate marriage proposal at Hockey Night! Click below to see photos of the fun from the last eight years in San Antonio. Our website contains a nice interface for online payments. Online payments are handled by Mutual of Omaha Bank through their secure website. Buttons to make payments are located at the bottom of every page and throughout our website. When you click a payment button, you’ll see a page describing your payment options. When you are ready to make a payment, we’ll transfer you to the Mutual of Omaha site. Nothing you enter on the Mutual of Omaha site is visible or available to C.I.A. Services or to your association. Ability to schedule payments. They can be on a monthly, quarterly or annual basis; however, should be within the parameters of your community. Ability to manage payments and property information through a personal homeowner profile. Access to transactions for up to 13 months when you create a user profile. Real time credit card payments (subject to processing fees). The ability to schedule payments is a really nice feature. If you create a personal account, you can see your transactions and make future payments with less effort. With an account, you can also schedule payments. So, for example, if you want to take advantage of our multi-payment options (Nov, Dec and Jan payments), you can schedule three eCheck payments in one session by specifying the dates and amounts. Or if you have monthly assessments, you can set those up. At any time, you can change the schedule since you have full control over your payments. For the second year, the Public Relations committee for the Greater Houston Chapter of the Community Associations Inc. (GHCAI) has collected zip lock sandwich bags for Kids’ Meals. Kids’ Meals’ mission is to end childhood hunger by delivering free, healthy meals to the doorsteps of Houston’s hungriest preschool-aged children. Kids’ Meals is a first-responder to children ages five-years old and under facing debilitating hunger due to extreme poverty. When GHCAI asked how they could help, Kids’ Meals said sandwich bags were their biggest need. Every day in Houston, there are 88,740 children, or 1 out of 4 preschool aged children, who may not know where their next meal is coming from. Harris County has the 2nd highest rate of child food insecurity in the nation, meaning our children have limited or unreliable access to a sufficient quantity of affordable, nutritious food. Preschool-aged children often fall through the gap of social services addressing food insecurity. Kids’ Meals address the hunger and food insecurity for the age 5 and younger population who cannot access school free meal programs. 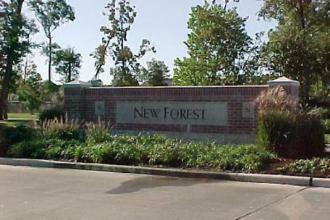 Each weekday, they deliver approximately 2,500 healthy meals to Houston’s hungriest preschool-aged children. When school is out, every child up to age 18 in these homes also receives a healthy meal from Kids’ Meals – up to 3,700 kids per day. Over the last quarter of 2016, C.I.A. Services collected approximately 100 boxes of zip lock sandwich bags, which is about 10,500 baggies or meals. For more information about Kids’ Meals website here. We always enjoy presenting the C.I.A. Services Seminar Series. Each seminar concentrates on the practical aspects of the topic and provides board members with background knowledge to help them in their decision making. We consistently receive positive feedback on the content and presentation. Last month, we announced we were working on some other new and exciting features for this year. We have successfully moved the Community Website Administrator training to a webinar format. We want to test this idea on our other seminars and determine if we can accomplish the same success with more advanced topics and audience participation. On Tuesday, February 28th, we will be conducting Meetings & Records - The Legal Requirements seminar. However, rather than us asking you to come to us, we will come to your computer screen! The seminar itself will be taking place at our San Antonio location; however, we will be broadcasting the event live so anyone anywhere can join in. We believe this is the most convenient way for community volunteers to be able to participate. Because the live seminar is in San Antonio, we have the added bonus of the presenter being Ralph Troiano, our company president. If you have never had the pleasure of attending a presentation by Ralph, you are in for a treat! Ralph is a dynamic speaker with a true passion about what we do. We’ll still ask participants to register in advance so that we can get you the seminar materials electronically in advance. To register, please send an email to seminars@ciaservices.com. If this new direction is as successful and popular as we think it will be, all of our seminars will be broadcast live. Here’s a list of our other seminars and when they are presented. The final schedule will be set once we determine if this new direction or our traditional classroom setting is the way to go. Stay tuned! 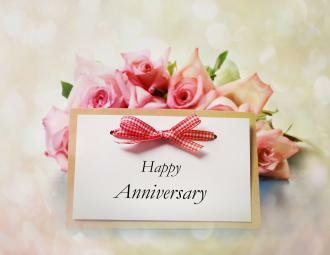 Each month we like to recognize employees as they celebrate their anniversaries with C.I.A. Services! Charlotte Bulcken is celebrating 21 years with the company! Charlotte works out of our Humble office handling multiple special projects and is our go to person working with governmental agencies. Nick Garza is celebrating 1 year with the company! Nick is a Maintenance Coordinator from our San Antonio office and does a wonderful job managing all of those projects.